Not to be confused with the sequence for Pentecost, Veni Sancte Spiritus. "Veni Creator Spiritus" ("Come Creator Spirit") is a hymn believed to have been written by Rabanus Maurus in the 9th century. When the original Latin text is used, it is normally sung in Gregorian Chant. As an invocation of the Holy Spirit, it is sung in the Roman Catholic Church during liturgical celebrations on the feast of Pentecost (at both Terce and Vespers). It is also sung at occasions such as the entrance of Cardinals to the Sistine Chapel when they elect a new pope, as well as at the consecration of bishops, the ordination of priests, when celebrating the sacrament of Confirmation, the dedication of churches, the celebration of synods or councils, coronations, the profession of members of religious institutes, and other similar solemn events. The Christian holy day of Pentecost, which is celebrated on the seventh Sunday after Easter, commemorates the descent of the Holy Spirit upon the Apostles and other followers of Jesus Christ while they were in Jerusalem celebrating the Feast of Weeks, as described in the Acts of the Apostles. In Christian tradition, this event represents the birth of the early Church. Terce, or Third Hour, is a fixed time of prayer of the Divine Office in almost all the Christian liturgies. It consists mainly of psalms and is said at 9 a.m. Its name comes from Latin and refers to the third hour of the day after dawn. Vespers is a sunset evening prayer service in the Orthodox, Roman Catholic and Eastern Catholic, Anglican, and Lutheran liturgies of the canonical hours. The word comes from the Greek ἑσπέρα ("hespera") and the Latin vesper, meaning "evening". 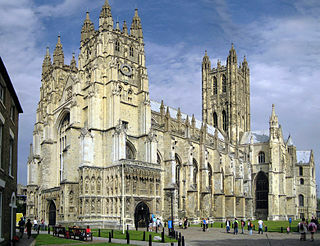 It is also referred to in the Anglican tradition as evening prayer or evensong. The term is also used in some Protestant denominations to describe evening services. The hymn is also widely used in the Anglican Communion and appears, for example, in the Ordering of Priests and in the Consecration of Bishops in the Book of Common Prayer , 1662. It has been translated into several languages; one English example is "Creator Spirit! by whose aid", written 1690 by John Dryden and published in The Church Hymn book 1872 (n. 313); one of the earlier is the 1627 version "Come Holy Ghost, our souls inspire" by Bishop John Cosin. Martin Luther used it as the basis for his chorale for Pentecost " Komm, Gott Schöpfer, Heiliger Geist ", first published in 1524. The Book of Common Prayer (BCP) is the short title of a number of related prayer books used in the Anglican Communion, as well as by other Christian churches historically related to Anglicanism. The original book, published in 1549 in the reign of Edward VI, was a product of the English Reformation following the break with Rome. The work of 1549 was the first prayer book to include the complete forms of service for daily and Sunday worship in English. It contained Morning Prayer, Evening Prayer, the Litany, and Holy Communion and also the occasional services in full: the orders for Baptism, Confirmation, Marriage, "prayers to be said with the sick", and a funeral service. It also set out in full the "propers" : the introits, collects, and epistle and gospel readings for the Sunday service of Holy Communion. Old Testament and New Testament readings for daily prayer were specified in tabular format as were the Psalms; and canticles, mostly biblical, that were provided to be said or sung between the readings. John Dryden was an English poet, literary critic, translator, and playwright who was made England's first Poet Laureate in 1668. 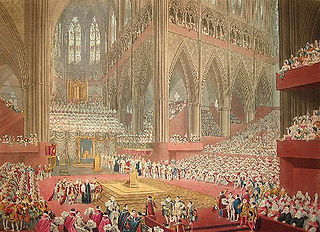 The English Reformation was a series of events in 16th-century England by which the Church of England broke away from the authority of the Pope and the Roman Catholic Church. These events were, in part, associated with the wider process of the European Protestant Reformation, a religious and political movement that affected the practice of Christianity across western and central Europe during this period. Many factors contributed to the process: the decline of feudalism and the rise of nationalism, the rise of the common law, the invention of the printing press and increased circulation of the Bible, and the transmission of new knowledge and ideas among scholars, the upper and middle classes and readers in general. However, the various phases of the English Reformation, which also covered Wales and Ireland, were largely driven by changes in government policy, to which public opinion gradually accommodated itself. John Cosin was an English churchman. "Eternal Father, Strong to Save" is a British hymn traditionally associated with seafarers, particularly in the maritime armed services. Written in 1860, its author William Whiting was inspired by the dangers of the sea described in Psalm 107. It was popularised by the Royal Navy and the United States Navy in the late 19th century, and variations of it were soon adopted by many branches of the armed services in the United Kingdom and the United States. Services who have adapted the hymn include the Royal Marines, Royal Air Force, the British Army, the United States Coast Guard and the US Marine Corps, as well as many navies of the British Commonwealth. Accordingly, it is known by many names, variously referred to as the Hymn of Her Majesty's Armed Forces, the Royal Navy Hymn, the United States Navy Hymn, and sometimes by the last line of its first verse, "For Those in Peril on the Sea". The hymn has a long tradition in civilian maritime contexts as well, being regularly invoked by ship's chaplains and sung during services on ocean crossings. John Bacchus Dykes was an English clergyman and hymnwriter. "Lasst uns erfreuen herzlich sehr" is a hymn tune that originated from Germany in 1623, and which found widespread popularity after The English Hymnal published a 1906 version in strong triple meter with new lyrics. The triumphant melody and repeated "Alleluia" phrases have supported the tune's widespread usage during the Easter season and other festive occasions, especially with the English texts "Ye Watchers and Ye Holy Ones" and "All Creatures of Our God and King". 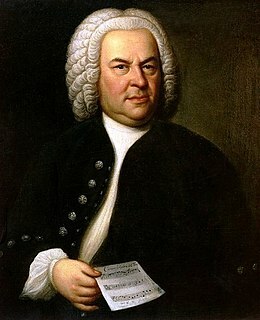 In the early 1700s Johann Sebastian Bach used "Komm, Gott Schöpfer, Heiliger Geist" as the basis for his chorale preludes BWV 631 and BWV 667. In the 1860s, a motet for women's voices to the Latin text was among the last works of Hector Berlioz (H 141), and Anton Bruckner harmonized the original tune for voice and organ as his motet WAB 50 in the 1880s. Gustav Mahler set the Latin text to music in Part I of his Symphony No. 8 in E-flat major (1906). Maurice Duruflé used the chant tune as the basis for his symphonic organ composition "Prélude, Adagio et Choral varié sur le thème du 'Veni Creator'" in 1926/1930. Paul Hindemith concluded his 1962 Concerto for Organ and Orchestra with a Phantasy on "Veni Creator Spiritus." Krzysztof Penderecki wrote a motet for mixed choir (1987), and the text has been set for chorus and orchestra by Cristóbal Halffter (1992). Karlheinz Stockhausen used the text in the second hour of his Klang cycle in a 2005 piece for two singing harpists titled Freude (Joy). Louis-Hector Berlioz was a French Romantic composer. His output includes orchestral works such as the Symphonie fantastique and Harold in Italy, choral pieces including the Requiem and L'enfance du Christ, his three operas Benvenuto Cellini, Les Troyens and Béatrice et Bénédict, and works of hybrid genres such as the "dramatic symphony" Roméo et Juliette and the "dramatic legend" La damnation de Faust. Wikimedia Commons has media related to Veni Creator Spiritus . Wikisource has the text of the 1913 Catholic Encyclopedia article Veni Creator Spiritus . "Gloria in excelsis Deo" is a Christian hymn known also as the Greater Doxology and the Angelic Hymn/Hymn of the Angels. The name is often abbreviated to Gloria in Excelsis or simply Gloria. A sequence is a chant or hymn sung or recited during the liturgical celebration of the Eucharist for many Christian denominations, before the proclamation of the Gospel. By the time of the Council of Trent (1543–1563) there were sequences for many feasts in the Church's year. "O come, O come, Emmanuel" is a Christian hymn for Advent and Christmas. The text was originally written in Latin. It is a metrical paraphrase of the O Antiphons, a series of plainchant antiphons attached to the Magnificat at Vespers over the final days before Christmas. 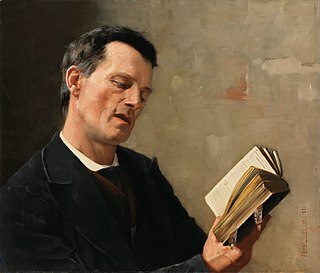 The 1861 translation by John Mason Neale from Hymns Ancient and Modern is the most prominent by far in the English-speaking world, but other English translations also exist. Translations into other modern languages are also in widespread use. While the text may be used with many metrical hymn tunes, it was first combined with its most famous tune, often itself called Veni Emmanuel, in the English-language Hymnal Noted in 1851. Later, the same tune was used with versions of "O come, O come, Emmanuel" in other languages, including Latin. "Adoro te devote" is a Eucharistic hymn written by Thomas Aquinas. "Adoro te devote" is one of the five Eucharistic hymns, which were composed and set to music for the Solemnity of Corpus Christi, instituted in 1264 by Pope Urban IV as a Solemnity for the entire Roman Catholic Church. Komm, Jesu, komm, BWV 229, is a motet by Johann Sebastian Bach, with a text by Paul Thymich. It was composed in Leipzig, and received its first performance by 1731–1732. Ubi caritas is a hymn of the Western Church, long used as one of the antiphons for the washing of feet on Maundy Thursday. 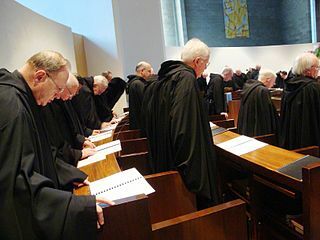 The Gregorian melody was composed sometime between the fourth and tenth centuries, though some scholars believe the text dates from early Christian gatherings before the formalization of the Mass. It is usually sung at Eucharistic Adoration and Benediction of the Blessed Sacrament and on Holy Thursday evening at the Mass of the Lord's Supper. The current Roman Catholic Missal reassigned it from the foot-washing mandatum to the offertory procession at the Holy Thursday Mass of the Lord's Supper, and it also is found in current Anglican and Lutheran hymnals. Dalla terra is an album by Italian singer Mina, released in 2000. This is the only album in Mina's discography that consist entirely of non-secular music. 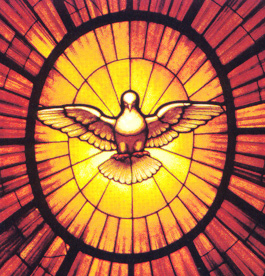 Come, Holy Spirit is a Roman Catholic prayer for guidance. It is discussed in Catechism of the Catholic Church 2670–2672. "Nun komm, der Heiden Heiland" is a Lutheran chorale of 1524 with words written by Martin Luther, based on Veni redemptor gentium by Ambrose, and a melody based on its plainchant. It was printed in the Erfurt Enchiridion of 1524. Zoltán Gárdonyi was a Hungarian composer and musicologist. He taught at the Franz Liszt Academy of Music for 26 years. "Nun bitten wir den Heiligen Geist" is a German Christian hymn. The first stanza is a leise from the 13th century which alludes to the Latin sequence Veni Sancte Spiritus for Pentecost. It was widely known, and was used beyond its Pentecostal origin, also as a procession song and in sacred plays. "Veni redemptor gentium" is a Latin Advent or Christmas hymn by Ambrose in 88 88 iambic dimeter. The hymn is assigned to the Office of Readings for Advent, from December 17 through December 24, in the Liturgy of the Hours. "Komm, Heiliger Geist, Herre Gott" is a Lutheran hymn for Pentecost, with words written by Martin Luther based on "Veni Sancte Spiritus, reple tuorum corda fidelium". The hymn in three stanzas was first published in 1524. For centuries the chorale has been the prominent hymn (Hauptlied) for Pentecost in German-speaking Lutheranism. Johann Sebastian Bach used it in several chorale preludes, cantatas and his motet Der Geist hilft unser Schwachheit auf, BWV 226. Veni Creator Spiritus, WAB 50, is a motet composed by Anton Bruckner in c. 1884. "Komm, Gott Schöpfer, Heiliger Geist" is a Lutheran hymn for Pentecost, with words written by Martin Luther based on the Latin "Veni Creator Spiritus". The hymn in seven stanzas was first published in 1524. The melody is derived from the chant of the Latin hymn. The number in the current Protestant hymnal Evangelisches Gesangbuch (EG) is 126. 1 2 "Mass and Rite of Canonisation" (PDF). vatican.va. Retrieved 18 October 2015. ↑ "Come, Holy Ghost, Creator, Come / Veni Creator Spiritus". January 7, 2013. Retrieved 4 June 2017. ↑ "Creator Spirit, by whose aid", Hymnary.org. ↑ "Creator Spirit, By Whose Aid" (PDF). Oregon Catholic Press . Retrieved 9 May 2017.